Fall “Shoulder Months” Are Here. Will Your Building Take Advantage? Home / Energy Efficiency / Fall “Shoulder Months” Are Here. Will Your Building Take Advantage? On October 7, 2015,	Posted by Bradley Short ,	In Energy Efficiency,	With Comments Off on Fall “Shoulder Months” Are Here. Will Your Building Take Advantage? In much of the country, cooler fall temperatures are finally here. Like we said a few months ago, the “shoulder months” of spring and fall hold your best opportunities for energy savings. In fact, these crucial months will likely make or break your energy budget. Will you make the most of them? You’re clearly going to run your heating system all winter, and you will almost certainly spend lots of money to cool your building in the summer. But in the fall, you have a lot more discretion when it comes to your energy use. A little bit of planning combined with a good regular maintenance routine opens you up to big savings. Is your boiler running? Should it be? Are your chillers or cooling towers running? Should they be? What are the control setting for your boiler and chiller? Are they set on auto or manual? If manual, why? Are your controls working properly? Is outdoor-air reset enabled? Is the sensor still installed and operational or has it been disconnected or damaged? Are VFDs running at 100%? Should they be? Do you see any open windows? Are you tracking hot and cold complaints? Notice any patterns? Most buildings these days have technological systems in place to help avoid wasteful situations. They are incredibly helpful, and we at LogCheck advocate their use. That being said, your BMS or BAS won’t tell you everything. Routine inspections are still the best way to realize these seasonal opportunities for savings. 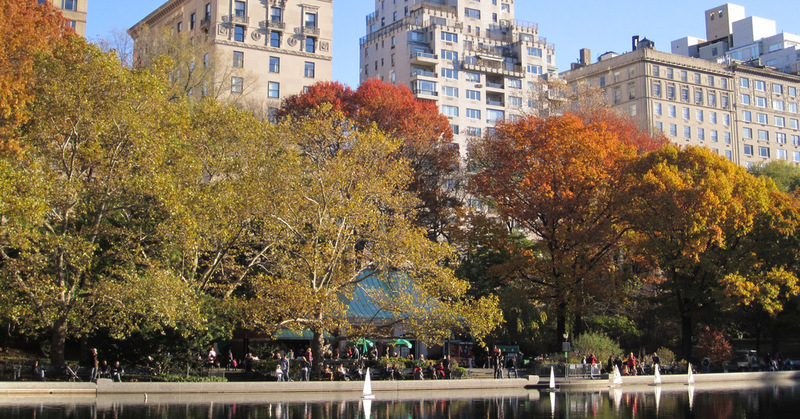 Header image: Conservatory Water, autumn day by La Citta Vita. Used via Creative Commons license.